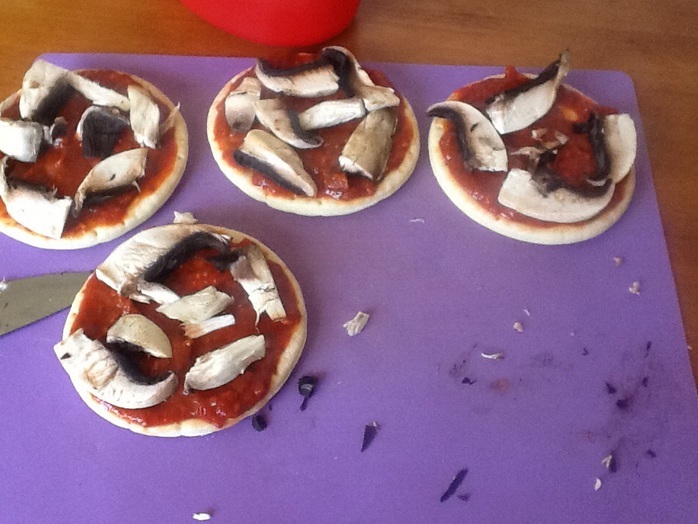 A quick and easy recipe for some delicious vegetarian pizza. 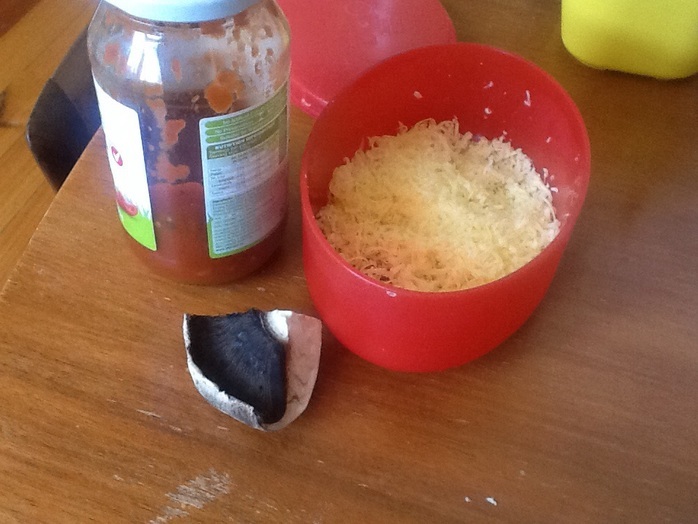 One could substitute the cheese for some grated tofu or similar to make it fully vegan. Heat the oven to around 200 degrees celsius. 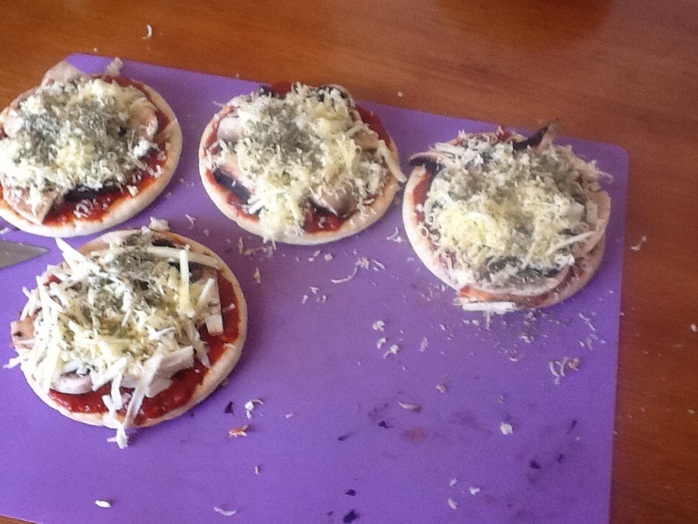 Spread the pasta sauce or tomato paste on the bases and add some chopped mushroom and sprinkle some cheese atop, followed by a sprinkling of herbs to taste. 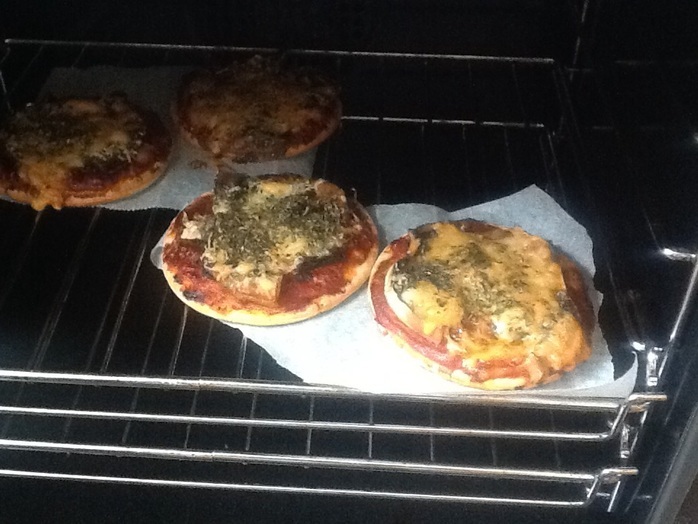 Add the pizzas to the oven once it is heated and let them bake for around 20 minutes or to personal preference. Best served with a glass of merlot and some grapes. Bon appetit!